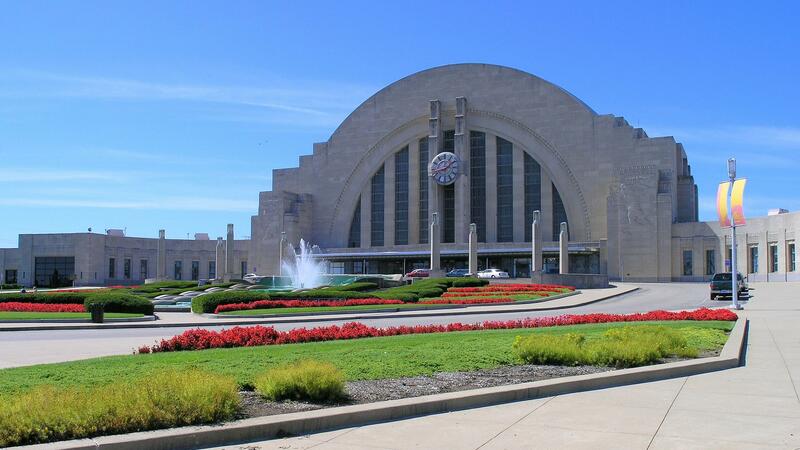 Rent Cincinnati Museum Center Union Terminal | Corporate Events | Wedding Locations, Event Spaces and Party Venues. Cincinnati Museum Center at historic Union Terminal is like no place else in the world. And there is no place better suited for your next event. Only Cincinnati Museum Center can offer the ambiance and grandeur of a by-gone era and combine it with the conveniences of a modern day event facility. Historic Union Terminal is home to the Cincinnati History Museum, Duke Energy Children’s Museum, Museum of Natural History & Science and Robert D. Lindner Family OMNIMAX® Theater. Our original Art Deco dining rooms, glorious grand Rotunda and 300-seat auditorium make us a favorite Cincinnati wedding venue. Award-winning full-service caterers, an audio-visual department, plentiful on-site parking and tickets to any of our attractions are just a few amenities you can enjoy when you plan your wedding, social or corporate event here.